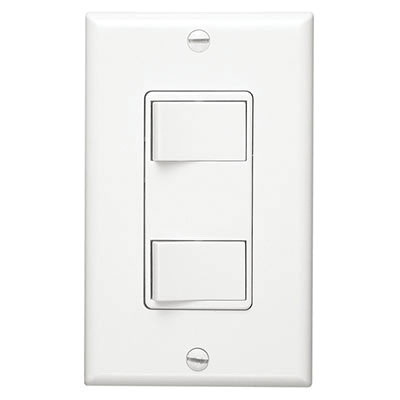 Nutone Broan® Duplex Multi-function wall control in white color, provides a 2-function control that fits 1-Gang box and offers convenient way to select only the function you need. The plastic control has a voltage rating of 120-Volts and current rating of 15-Amps. The control with rocker switch actuator, measures 5-Inch x 3-Inch x 4-Inch. It is suitable for use with all Broan® fans and heaters. Wall control is UL listed.